After a whirlwind of complications and insane deadlines to meet, Adam and I finally managed to enjoy a date night after what seemed like far too long! Work has been quite rigorous lately for the two of us, and as much as we are happy we have the ability to work and save up our money, it has been frustrating when we find that we either do not have the time to go out for a date or the ability to muster up enough energy to try to have a nice dinner at home together. Last week, I went out to Fry's and picked up a few items for us to have a sushi night at home. 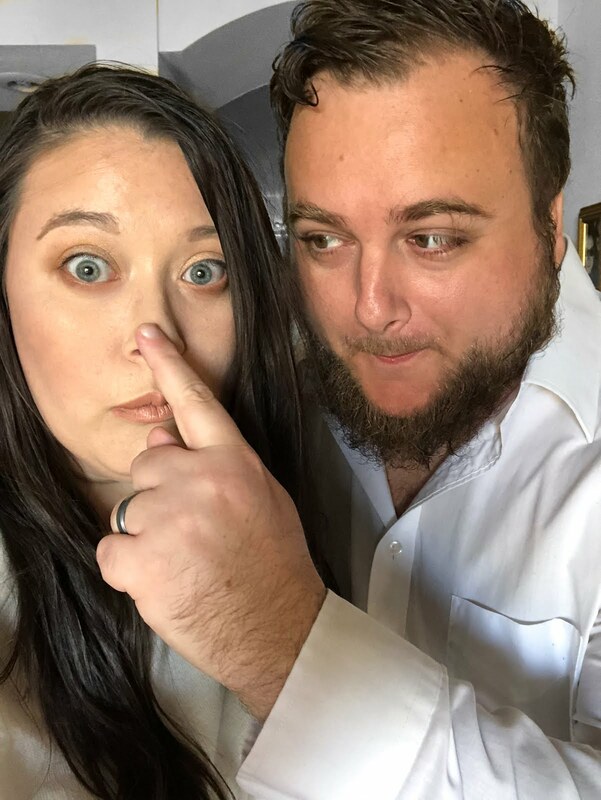 We had both been craving sushi from our favorite restaurant in town, but neither of us had the time or patience to get ready and leave the house to enjoy a night out. I figured what better way to bring date night home than by running out and grabbing everything I needed for a sushi date night at home. 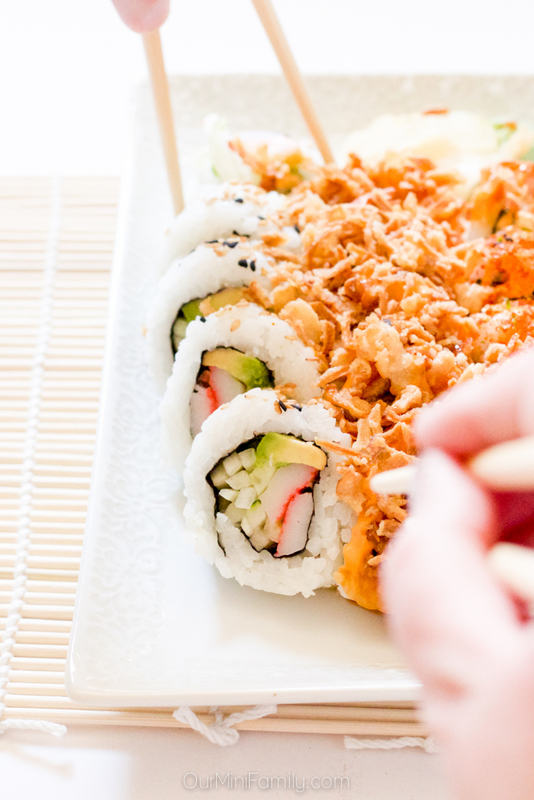 Today, I'm sharing our sushi date night at home essentials! 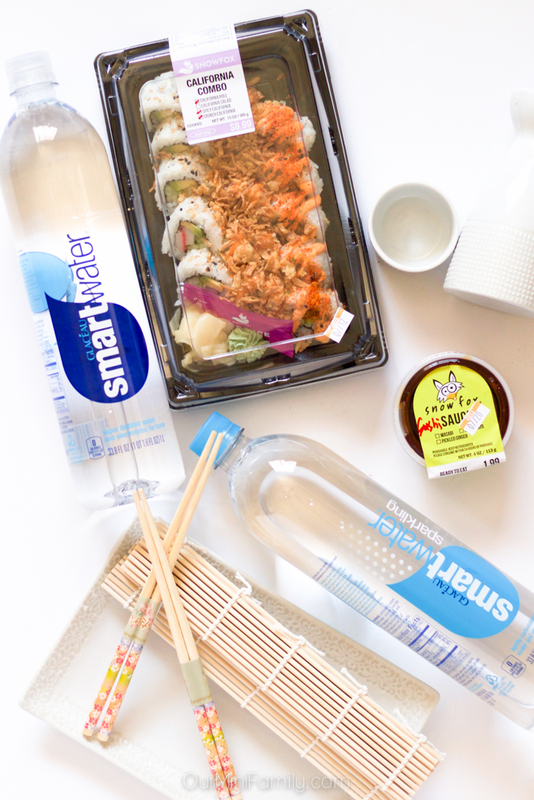 I was able to pick up everything I needed for our sushi night at home at our neighborhood Fry's store (including all of our sushi, eel sauce, soy sauce, smartwater 1L, smartwater sparking 1L, and all of our other sushi night essentials!) it was so convenient and there was a great selection of all kinds of sushi available at the fresh sushi counter at Fry's! You cannot have a sushi night unless you have a great selection of your favorite sushi rolls! I was able to pick up a delicious California roll variety pack including traditional California rolls, Spicy California rolls, and Crunch California rolls! All of the pre-assembled sushi I could have wanted to take home for our date night was available at the Fry's sushi counter. 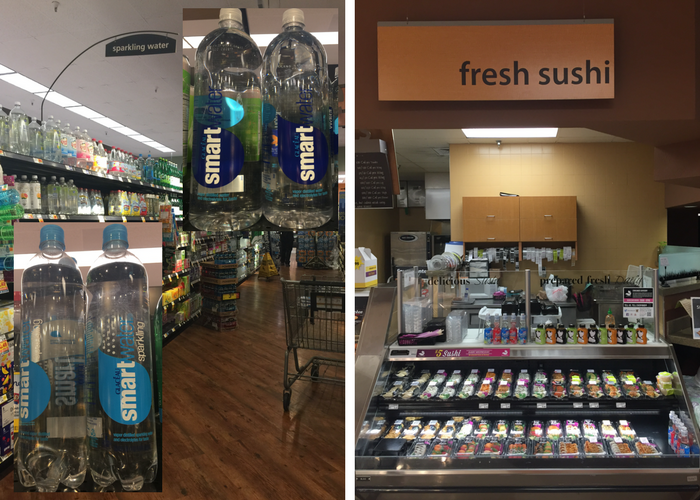 Once I picked up the sushi I wanted, I walked over to the water aisle and grabbed a few bottles of smartwater 1L and smartwater sparking 1L for me and Adam to enjoy throughout our sushi night at home! 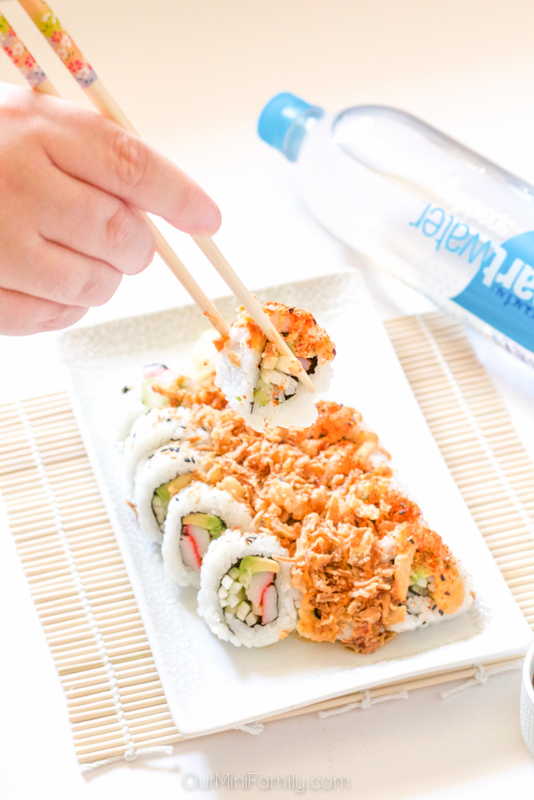 Chopsticks are an absolute must-have for sushi night! 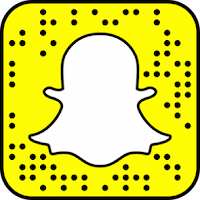 You can pick up a few sets of disposable chopsticks right at the Fry's sushi counter, or you can buy them at a variety of other kinds of specialty stores if you want to invest in a set that you can continue to wash and re-use. If you are a fan of dipping your sushi rolls or sashimi, you will definitely want to invest in a few dipping bowls! You can find them in the kitchen utensils section at your grocery store, like Fry's. 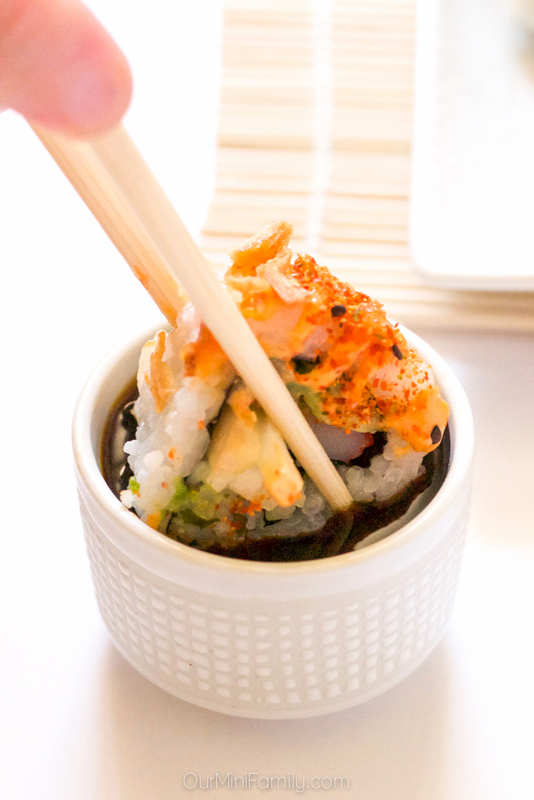 We have invested in a handful of small bowls that are the perfect size for dipping sushi, and they have become a staple item for our at-home sushi date nights! No sushi night is complete without everyone's favorite dipping sauces: soy sauce and eel sauce! If you are grabbing your sushi at Fry's from their sushi counter, you will find a variety of all kinds of sauces perfect for sushi night! In addition to chop sticks and dipping bowls, some other sushi night essential accessories may include long plates (or sushi boards), bamboo sushi mats, and even rice paddles. 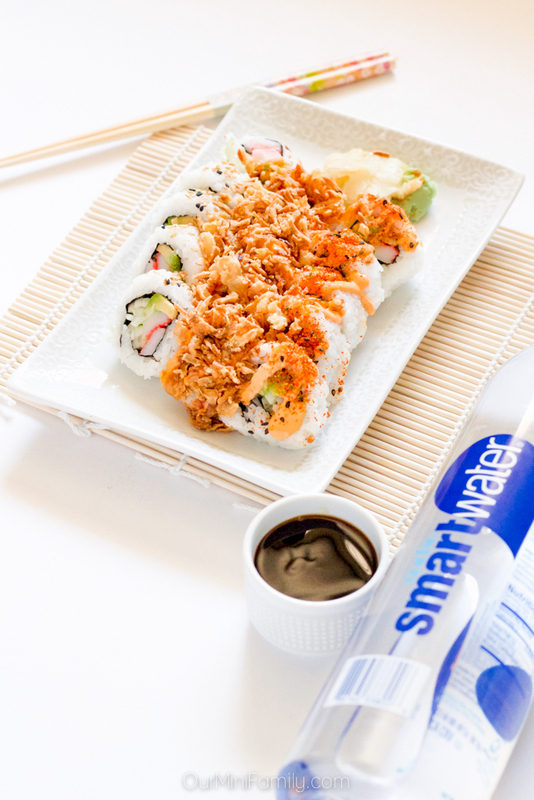 Shoppers can pick-up an In-Store Coupon to Save $1 when you purchase sushi and smartwater 1L or Diet Coke® 20oz. The coupon is only while supplies last, so hurry down to your local Fry's store to take advantage of this offer! 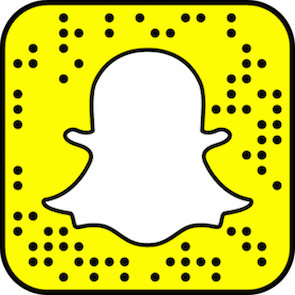 Click here for even more entertaining ideas! 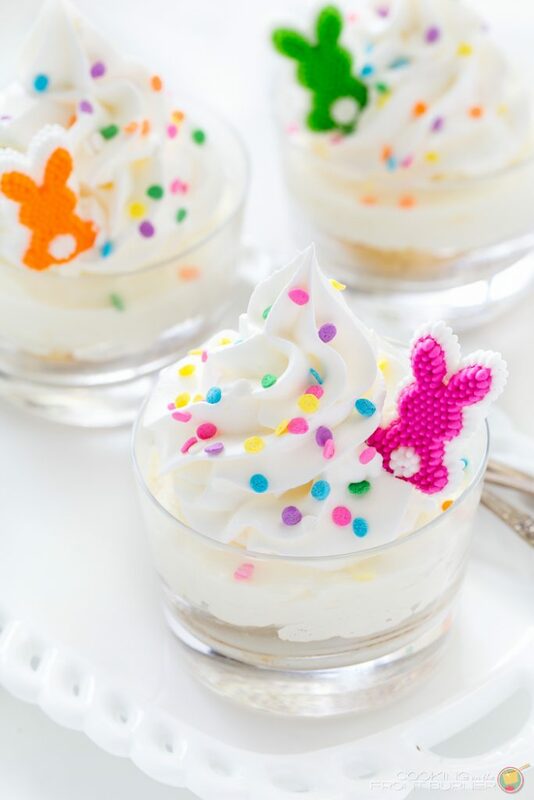 Oh my goodness this looks delicious, it's making me hungry. Now I'm craving sushi! It's one of my favorite foods! We might even have some tonight! Oh my! Yes. I love sushi. 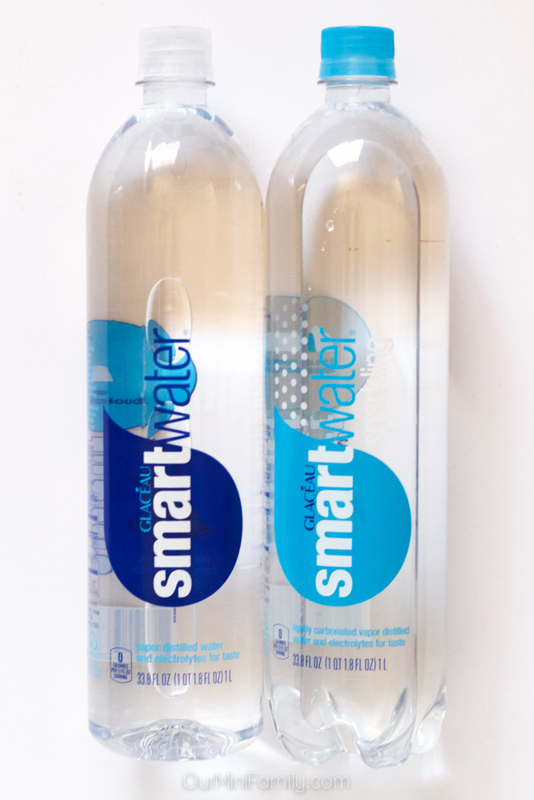 Must grab a bottle of that smartwater too. Making me hungry! Not long before I'm eating sushi again...yum! I tried making sushi one time and it was hilarious. I put way too much rice with the fish and cut the fish awkwardly. I'm definitely not the best chef. Maybe I'll give it another try with your tips! I really love sushi but I don't usually eat it at home, but these tips make it clear that I should more often! I like Fry's sushi too and it is a nice alternative to going out!